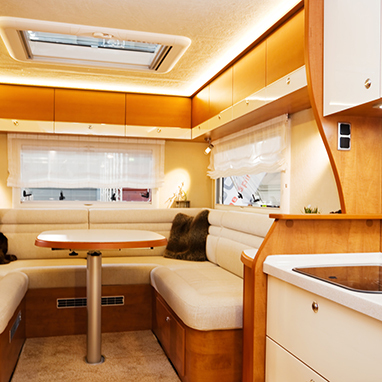 Comfort and energy efficiency are the most important requirements on modern caravans and mobile homes. For professional implementation in vehicle construction, KÖMMERLING offers a high-performance product portfolio of adhesives and sealants. 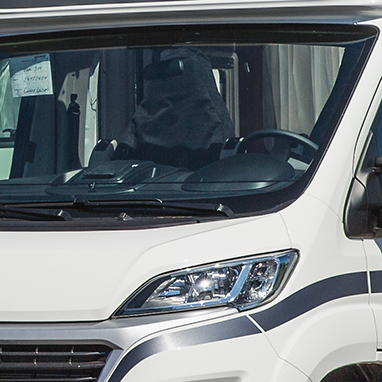 We make travel vehicles lightweight, functional, stress-resistant and low-noise. Contact our experts – we offer highly efficient service! 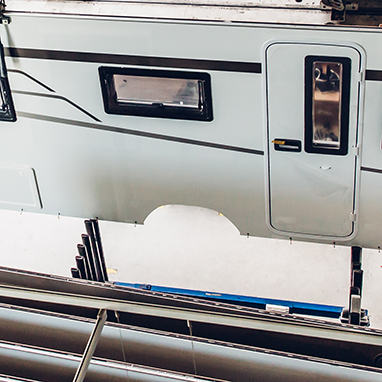 Sandwich elements in caravans and mobile homes often have different interior and exterior deck layers. The intermediate layers mainly consist of reinforcing construction elements and insulating foam and often contain special areas that enable subsequent attachment of exterior peripheral equipment such as bicycle carriers or awnings. All these components are bonded with each other into a stable sandwich for the side walls, roof and floor. During the assembly of superstructures, sandwich elements are joined to form a stable vehicle cabin. The use of adhesive technology enables improved sound-damping, which results in increased driving comfort. Bonded front and rear masks consisting of large-area plastic add-on components ensure good aerodynamic properties of the chassis and thus reduce fuel consumption. 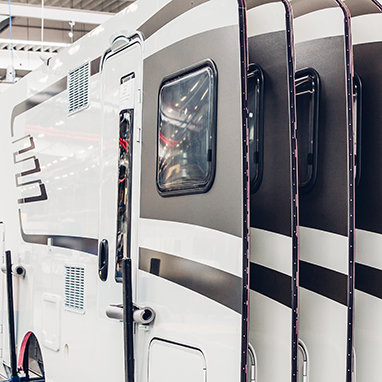 The interior finishing of a modern caravan or mobile home consists of many parts. In addition to floor insulation to prevent water intrusion, floor and wall coverings are bonded, furniture is glued or wet rooms and kitchen sinks are sealed. Bonded window panes improve the stability of the chassis and reduce its weight. They thus contribute to a reduction of fuel consumption and help to save costs.